While this adorable picture might have you thinking Gordon Hayward is a young amateur, don’t be fooled. This 20-year-old cutie pie is a ferocious forward who was drafted ninth in the first round of the 2010 NBA draft. Hayward was recruited by Butler University, but only played two short years there after being snatched up the Utah Jazz. His team has an impressive 14-5 record and, so far, Hayward is responsible for four assists and 30 points—not too shabby for his first season. Tune in to see the Utah Jazz take on the Indiana Pacers at home tonight at 9 pm EST. 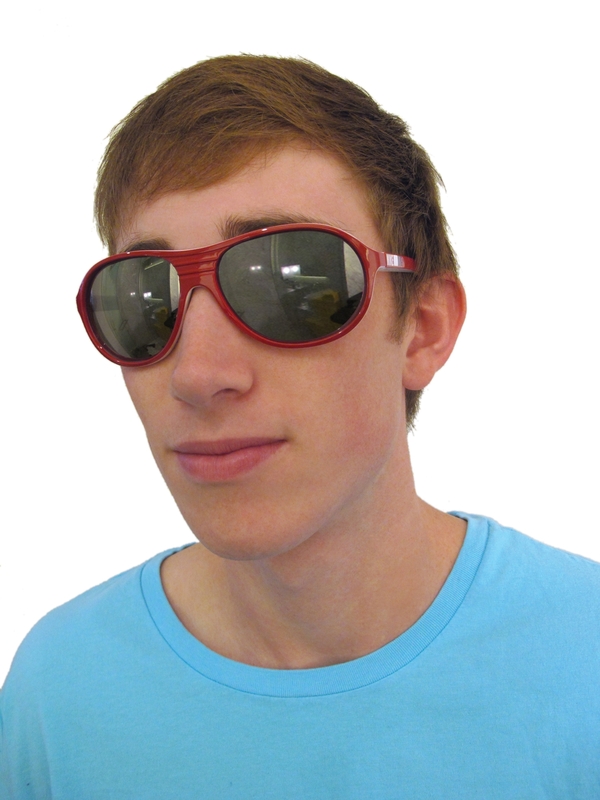 Hayward looks sweet as candy in a pair of red modified pilot styled Nike Vintage 74 shades with mirrored lenses.